A memorial to Lord Nelson, erected in 1817. A figure of Britannia stands on top of a Doric column facing towards Nelson's birthplace. The monument has recently been restored. Erected 1817, first of the Nelson columns. Coade stone, hollow with stairs, an Ionic column by Wilkins. Top consists of ring of caryatids supporting roof on which figure of Britannia faces towards Nelson's birthplace (despite local legends). Used as a signal station until the 1970s. Restoration work 1981 to 1982 revealed that the ring of caryatids had at some time been replaced in concrete; the figure of Britannia is original but had been split by lightning. The concrete had weathered badly. All to be replaced in fibre glass. Information from , 16 February 1982. NOT scheduled according to Department of Environment although sheet issued as scheduled monument 108! Listed grade I, see (S1). Caryatids were replaced 1896, information from the Department of Environment. Originally had caretaker's cottage at base. Figure of Britannia was not placed on top until 1819. For full details of 1981 to 1984 restoration, 19th century repairs etc see (S2). E. Rose (NAU) 8 May 1985. Head (now in Great Yarmouth Museum) bears date 1860 for repair. The local legend mentioned above, that the sculptor killed himself by jumping off the top of the tower when finding the statue facing the wrong way, is found attached to various other buildings in England, but here also received impetus from the fact that the borough surveyor Thomas Sutton died of a heart attack on top of the monument in 1819, see (S3). E. Rose (NLA), 5 October 2002. For details see original proposals (S3) and (S4), which includes photographs of the completed work. S. Howard (HES), 26 October 2010. The original caryatids from this monument have been found in the garden at Ketteringham Hall (NHER 9501). For further information see (S6) and correspondence and photographs in secondary file for NHER 9501. A. Cattermole (NLA), 22 August 2006. (S7) states that the caryatids were replaced in concrete in 1896 by J W “Concrete” Cockerill the borough architect. E. Rose (NLA), 31 October 2006. See (S8) for details of a Victorian photograph of the site. H. White (NLA), 1 September 2009. Article - 1997, 2006, missing from file [J. Yates, 18 November 2010]. --- Newspaper Article: Eastern Daily Press. 1982. Nelson's Other Column. 10 February. --- Newspaper Article: Eastern Daily Press. 1984. Monument is open again. 26 June. --- Newspaper Article: Eastern Daily Press. 1983. Britannia shoulders a burden for posterity. 30 September. --- Newspaper Article: Eastern Daily Press. 1982. Facelift plans in glass fibre for Britannia. 15 January. --- Aerial Photograph: Edwards, D.A. (NLA). 1995. TG5305/J. --- Newspaper Article: Eastern Daily Press. 1981. Facelift for Nelson at Yarmouth. 16 September. --- Aerial Photograph: Edwards, D.A. (NLA). 1999. TG 5305L - N; TG 5205X, Z. --- Newspaper Article: Eastern Daily Press. 1997. Nelson's column to be restored. 8 February. --- Newspaper Article: Eastern Daily Press. 1997. Landmark in a sorry state (letter to the editor). 20 February. --- Newspaper Article: Eastern Daily Press?. 1997. 27 June. --- Newspaper Article: Eastern Daily Press. 1997. A pillar fit for the 21st century? (letter to the editor). 21 November. --- Newspaper Article: Eastern Daily Press. 1999. £100,000 bill for Nelson's statue. 3 June. --- Newspaper Article: Eastern Daily Press. 2000. £250,000 to make memorial fit for a hero. 28 January. --- Newspaper Article: Eastern Daily Press. 2000. Spotlight on Sculpture. 7 July. --- Newspaper Article: Eastern Daily Press. 2000. Towering question of Nelson's future. 5 December. --- Newspaper Article: Eastern Daily Press. 2001. Is Nelson worth the relocation expenses?. 5 October. --- Newspaper Article: Eastern Daily Press. 2002. Monument site is an opportunity (letter to the editor). 13 September. --- Newspaper Article: Eastern Daily Press. 2003. Landmark gets restoration cash. 21 October. --- Publication: Norfolk Museums Service. 1985. 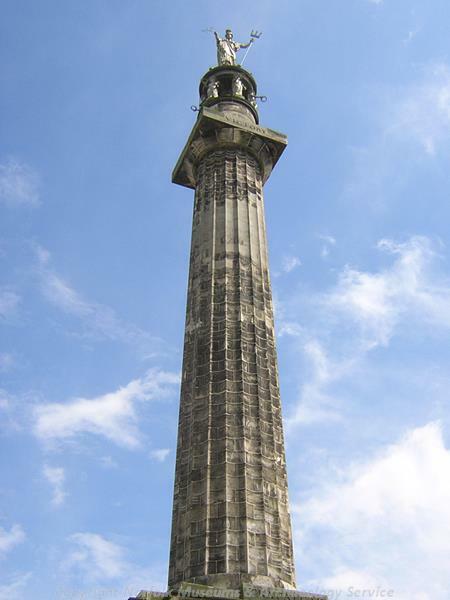 Nelson's Monument, Great Yarmouth. --- Newspaper Article: Nelson's Column - picture..
--- Newspaper Article: Eastern Daily Press. 2011. More highs and lows. 22 March. --- Article in Serial: Society of Antiquaries. 1953. Monuments and buildings in Great Yarmouth..
--- Newspaper Article: Yarmouth Mercury. 2004. Landmark awaits its return to glory. 19 November. --- Newspaper Article: Eastern Daily Press. 2005. Nelson springclean carries on non-stop. 5 March. --- Newspaper Article: Eastern Daily Press. 2005. Restored landmark ready for big day. 14 October. --- Archive: Clarke, R. R. and NCM Staff. 1933-1973. Norwich Castle Museum Record Card - Post-Medieval. Yarmouth (Great). <S2> Article in Serial: 1985. Yarmouth Archaeology. Vol 2, no 2, p 36. p 36. <S3> Article in Serial: 2002. Yarmouth Archaeology. p 38. <S4> Unpublished Document: Purcell Miller Tritton. 2002. Nelson's Monument, Great Yarmouth: Proposals for Repairs. February. <S5> Unpublished Report: Purcell Miller Tritton. 2006. Nelson Monument: RICS Awards 2006. <S6> Newspaper Article: Eastern Daily Press. 2006. 5 May. pp 2-3. <S7> Article in Serial: Allard, P.. 2006. J W Cockerill.. Yarmouth Archaeology. p 35. p 35 ff. <S8> Newspaper Article: Eastern Daily Press. 2009. Fabulous record of Norfolk's Victorian splendor. 22 August.